Reducing process variability results in less waste, higher quality and reduced cost, and can make a big difference in profitability for OEMs. 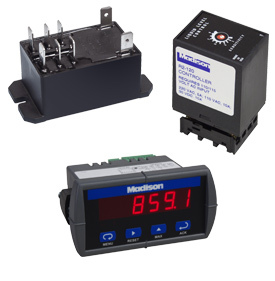 Madison offers a variety of accessories such as junction boxes, panel meters and pump level controllers to ensure that conditions are repeatable throughout the process, whether it is for real time liquid level measurement or protecting conductors in rigid threaded conduit. Madison's trained experts will carefully consider the installation and use of the liquid level sensor and recommend the appropriate accessory for the application.